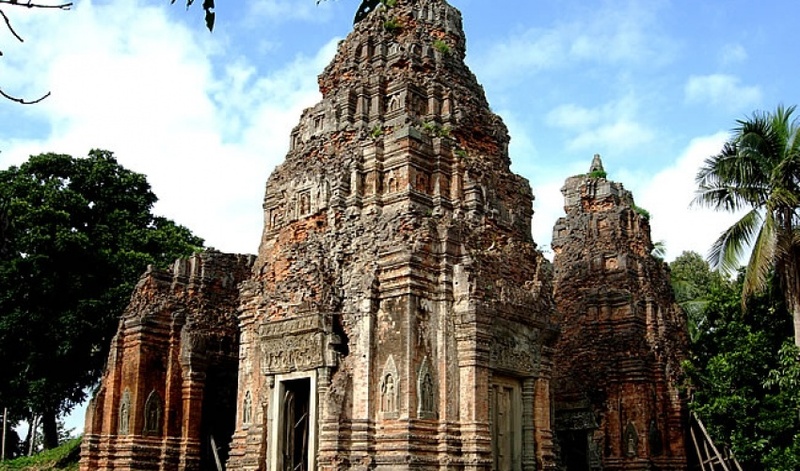 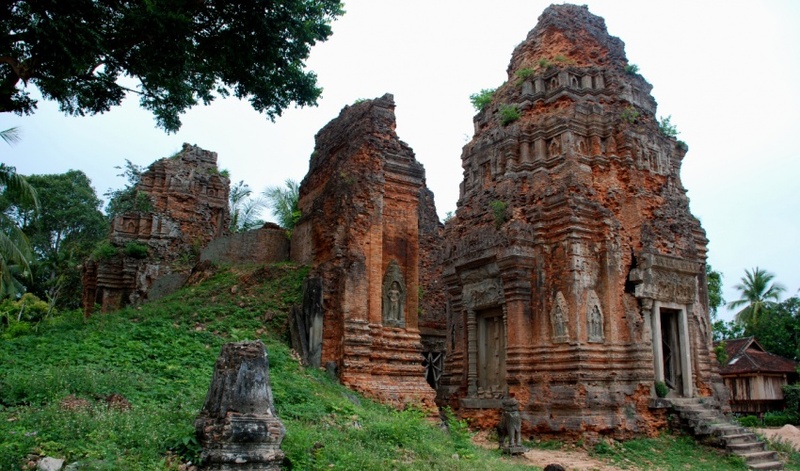 Prasat Lolei is composed of four tower sanctuaries, the remains of the original ensemble that was without doubt more complex. 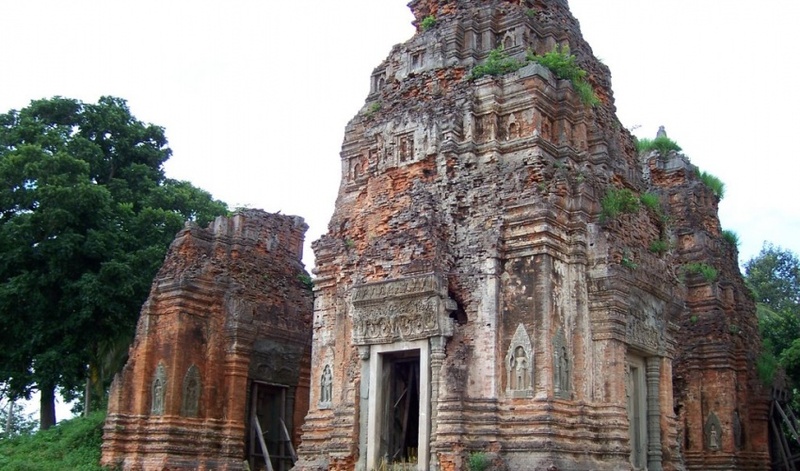 The King Yasovarman consecrated Lolei to the memory of his ancestors, particularly his father, in 893 AD. 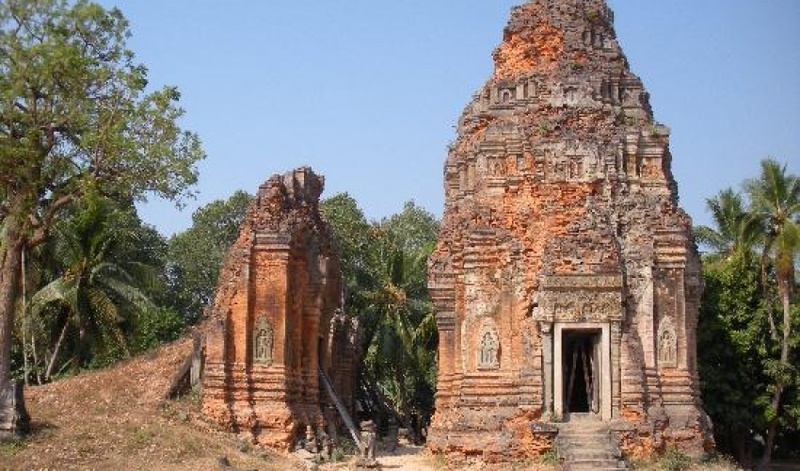 Towers of Lolei, Built in two tiers, the island on which the temple is found is itself located in the middle (but to the north along a north south axis) of the first great Baray of the region, the Indratataka. 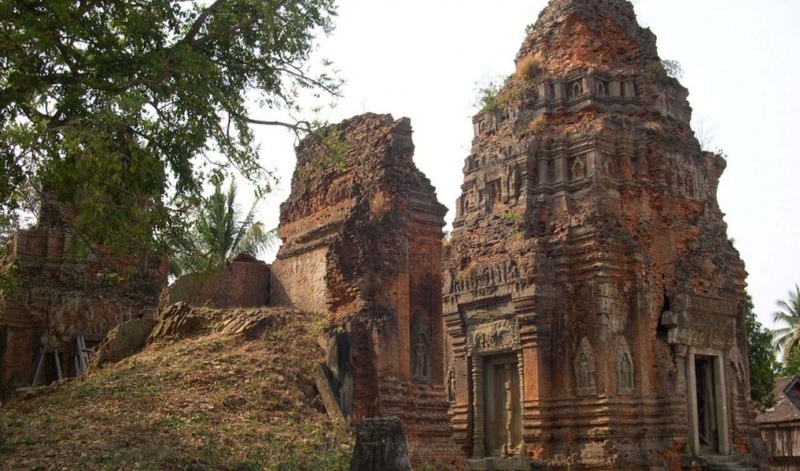 This large reservoir, measuring 3,800 meters by 800 meters, bears the name of its constructor, Indravarman (the father of Yasovarman) who began to build the reservoir on the fifth day following his coronation, as recorded in a Sanskrit inscription. 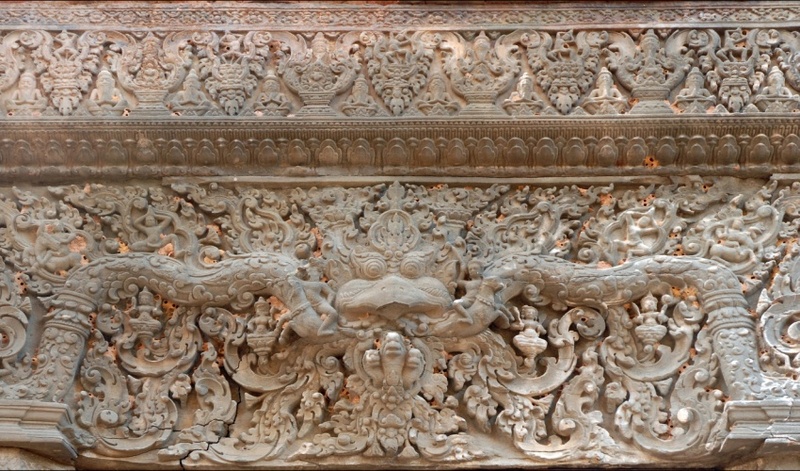 The inscriptions in Khmer which can still be admired on all the door jambs present an exceptional interest for two reasons. 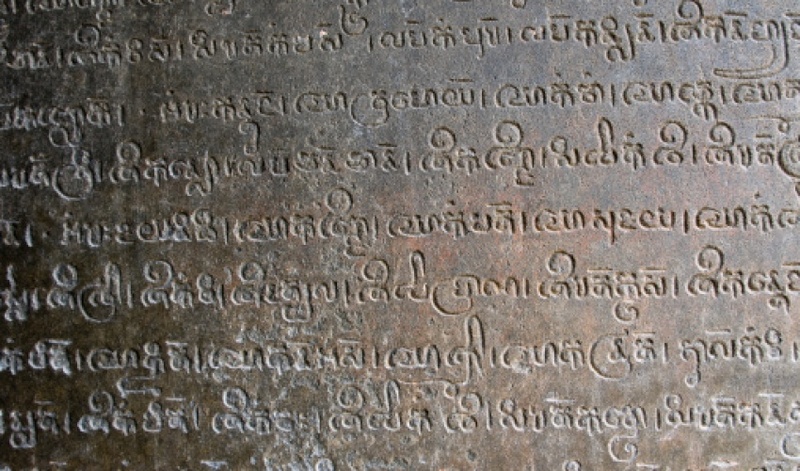 Their calligraphy is in itself a work of art, a fact noted with emphasis by the first scientific explorers of the 1860s. 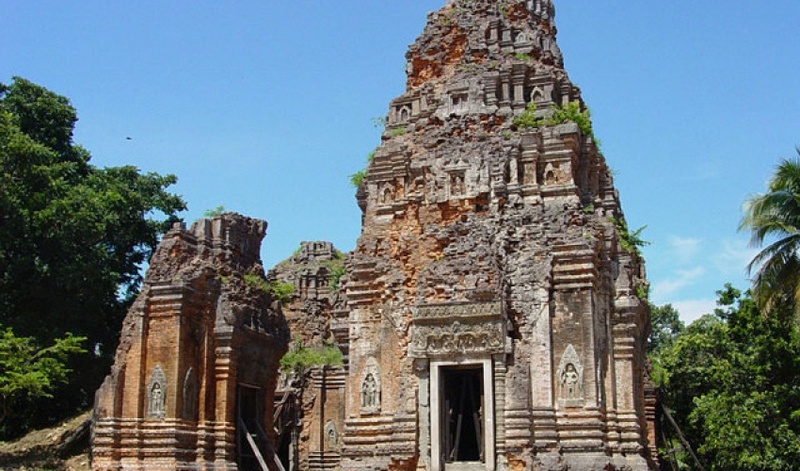 The inscriptions also provide us with a wealth of details concerning the moment chosen for the consecration of the temple, as well as elaborating on the delicate division of tasks carried out by the several hundred servants attached to each tower. 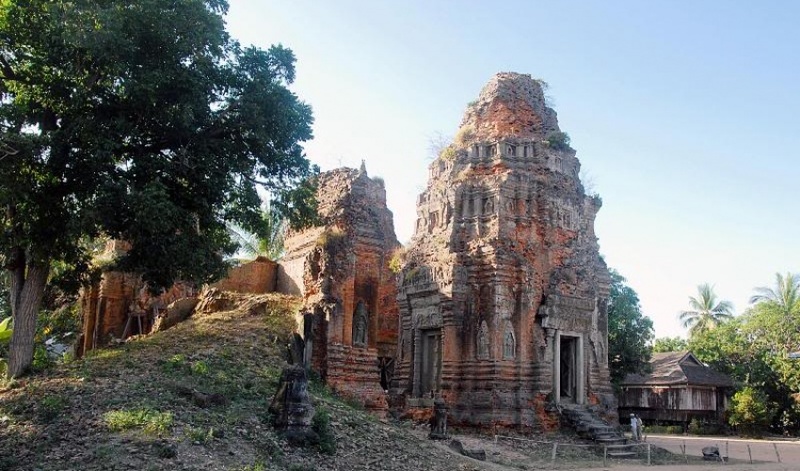 The name Lolei is really a phonetic corruption, commonly used in Siem Reap Province, of Harihara + alay, the name of the first 9th century Angkorian capital centered around present day Roluos. 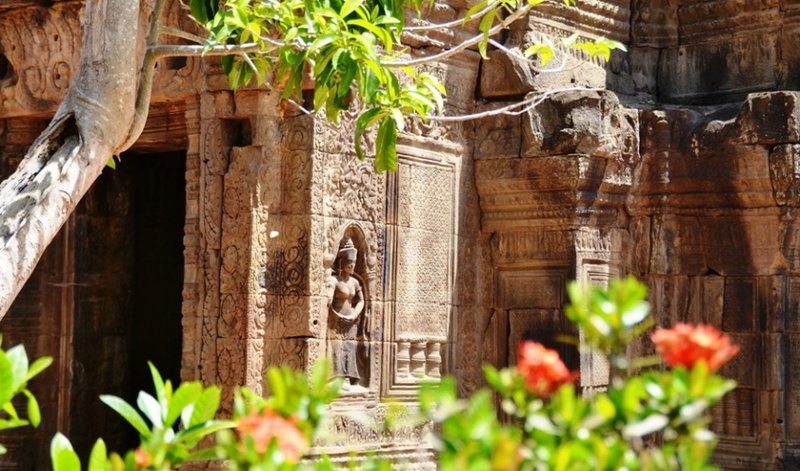 Even after constructing the island and its sanctuaries, Yasovarman still had the idea to move his capital to the region of Phnom Bakheng, about fourteen kilometers to the northwest of Lolei, site of the future city of Yasodhara.It is not implausible that Yasovarman was building at Lolei while moving his capital at the same time. 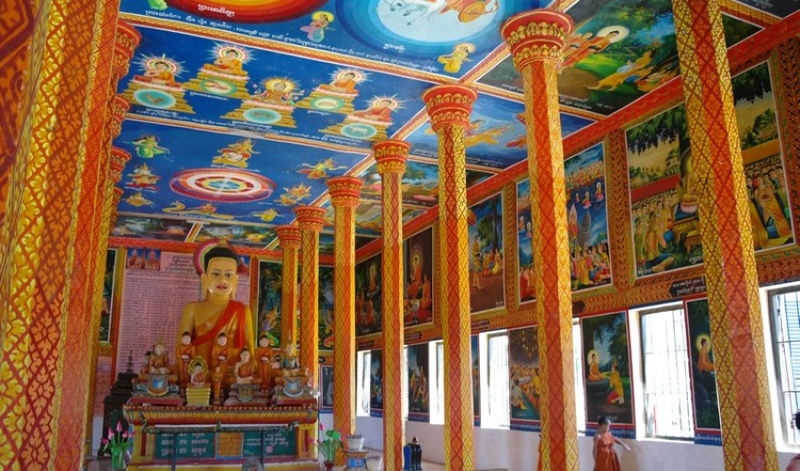 The choice to establish Lolei at the center of the Indratataka at this time was of specific symbolic meaning and significance since it put the dedicated object (Lolei dedicated to Indravarman) at the heart of the work of the one to whom it was dedicated (the Indratataka built by Indravarman).